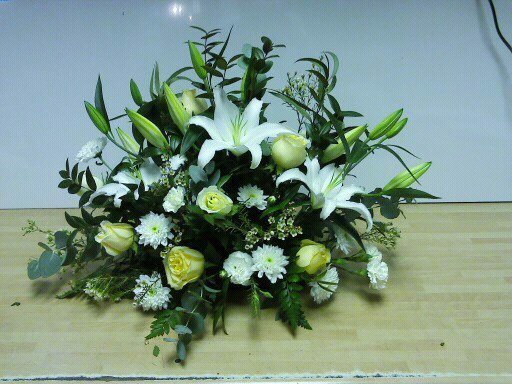 Fresh flower funeral spray is the ideal tribute for the top of a coffin. This can be made in a variety of sizes and colours. Comes complete with a hand written card to give the personal touch. Funeral spray is the ideal tribute from a friend or the family.